OEM quality replacement half-shafts save you money. 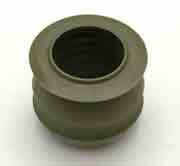 Kit includes axle shaft with outboard joint and boot assembly, bands and retaining ring or snap ring where required. Honda TRX500 Rubicon Left Side Half Shaft. Awesome replacement half-shafts. OEM quality replacement half-shafts save you money. Kit includes complete axle shaft with outboard joint. TRX400FW Right Side Outboard Half Shaft. Awesome replacement half-shafts. OEM quality replacement half-shafts save you money. Honda TRX400FW 95-01 Right Outboard Side. Honda TRX500 Rubicon Right Side Half Shaft. Awesome replacement half-shafts. OEM quality replacement half-shafts save you money. Honda TRX400 Rancher Left or Right Side Half Shaft. Awesome replacement half-shafts. OEM quality replacement half-shafts save you money. Honda TRX400 Rancher 04-07 Both sides. Kit includes fully assembled half-shaft with outboard joint and boot assembly, bands and retaining ring or snap ring where required. Kit includes complete axle shaft with outboard joint and boot assembly, bands and retaining ring or snap ring where required. Awesome replacement Complete shafts. OEM quality replacement Complete shafts save you money. Honda TRX400FW 95-01 Left Side. TRX420 Complete Left Front Axle. Awesome replacement Complete shafts. OEM quality replacement shafts save you money. Kit includes complete axle shaft with outboard joint. TRX500 Complete FRONT LEFT SIDE Axle. Awesome replacement Complete shaft. OEM quality replacement complete shafts save you money. Kit includes complete axle shaft with outboard joint. Honda TRX400FW 95-01 Right Side. TRX420 Complete Right Front Axle. See AX18131 for Left Side. TRX500 Complete FRONT RIGHT SIDE Axle. Honda TRX500 FOREMAN 14-15See AX18134 for Left Side. DID Connection Link for a standard 420 chain. Quality DID standard solid roller chain. 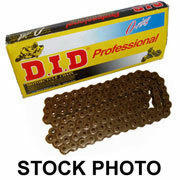 Chain kit contains 2 master links, 1 half link and one roller link. Master link for a 420 chain. Master link for a 428H chain. Master link for a 520 chain. DID Connection Link for a O-Ring 520 chain. Quality DID O-Ring roller chain. Quality DID O-Ring solid roller chain. DID Connection Link for a standard 520 chain.